Particle size analysis is a central part of our teaching and research. The size of particles in sediments can tell a lot about depositional environments or erosion conditions which is useful in paleoenvironmental reconstruction; while in contemporary sediments it’s useful for identifying transportation vectors for various pollutants. 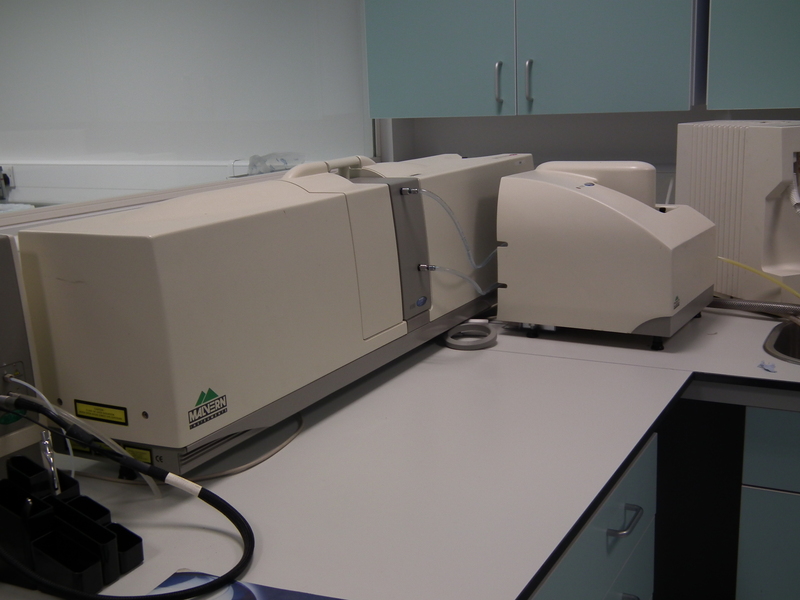 Our Particle Size Analysis is performed using a Malvern Mastersizer 2000 Laser Diffraction system. It is able to detect particles down to thousandths of a micron in samples as small as just a few millilitres.